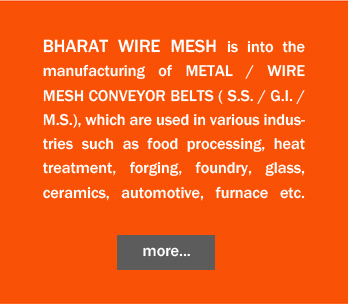 The Balance Weave Conveyor Belt is most commonly used wire mesh Conveyor belt worldwide including many etc. The mesh of compound balance weave conveyor belts are very closed, so this belts are used etc. Honeycomb conveyor belts are used in the application such as food processing, freezing, baking, etc. This weave is frequently used for chain drive belting are also used for guards on machinery as well as protective barriers. This belt produced a very high tensile strength, and minimum stretch at high operating temperatures.